The snow has finally melted, the trails are drying out, and the rain has washed away loose gravel from the road. I have been eager to get out on the bike and soak up the elusive Vermont sunny summer rays. Before this happens, I wanted to discuss bike safety. While wearing the proper protective equipment can decrease our risk for unforeseen injuries, we should also be proactive in addressing risk factors that we can modulate. Proper bike fitting and strengthening can reduce overuse injuries - below I will discuss a few bike fitting tips that may reduce knee pain, hip pain, or low back pain. 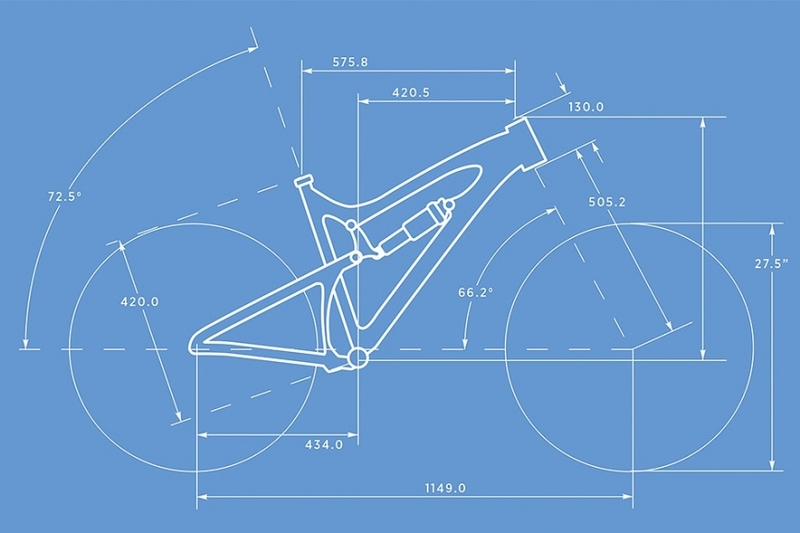 If your bike frame size is wrong, you will never become comfortable on your bike no matter how many adjustments you make. An easy way to check for the proper frame size is through stand-over height. When straddling the bike frame, a traditional straight top tube should have a 1 inch clearance between you and the bike. A compact or sloping bike top tube should have a 2 inch clearance between you and the bike. Other common fitting tips include measuring your inseam of your legs and subtracting 1-2 inches to determine stand-over height. For example, if you have a 32 inch inseam, you’ll want a road bike with a 31 inch stand-over height. Road bikes should have a 1 inch clearance, while mountain bikes should have a 2 inch clearance. Without the proper frame size, you may experience back pain, hip pain, or knee pain. When sitting on the bike in a safe and stable manner, your knee should have 10 degrees of knee flexion at the bottom of your pedal stroke. If your knee is straight at the bottom of your stroke, your seat is too high. Make sure your feet are flat and your toes are not pointed when testing the seat height because your seat will be too high even though you have the proper degree of knee flexion. Too much knee flexion and you may experience knee pain or IT band pain; too much knee extension and you might experience hip or low back pain. 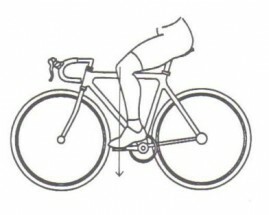 You do not want your knees to go over your toes when you are pedaling - this will lead to knee pain and possible injury. To test seat position, sit on your bike in a safe and stable position and adjust the pedals to be horizontal and parallel to the ground. Your knee should be over the ball of your foot. If you drop a plumb line from your knee down to the ground, the string should be near the ball of your foot and the center of the pedal. If this is not the case, move your seat forward or backward on the seat post. These are just a few tips to guide you in making sure your bike it set up properly this summer. Be safe, wear a helmet, and have fun!